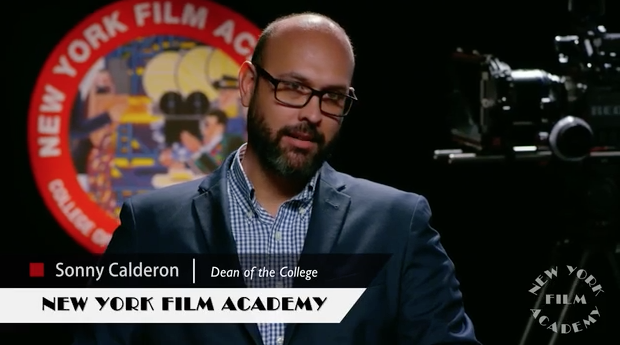 NYFA Director of Fulbright Initiatives, Miguel Cruz (Spanish Fulbright Alum). NYFA Fulbright Scholars Ismelda Mojica (Dominican Republic) and Oliver Olivo (Dominican Republic). 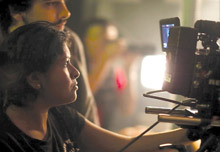 NYFA Fulbright Scholar Ishani Jayamaha (Sri Lanka) works hands-on with a RED camera on set. The New York Film Academy (NYFA) is proud to have welcomed over 60 Fulbright students from more than 35 countries. Most are grantees of the Fulbright Foreign Student Program, who enroll in NYFA’s MFA and MA programs to achieve their artistic and educational goals. NYFA is privileged to have Fulbright Program alumni as part of its faculty, including NYFA Director of Fulbright Initiatives Miguel Cruz. 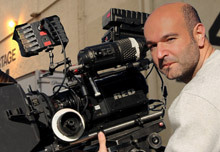 Professor Cruz attended NYFA in 2006 before directing award-winning TV projects ("Aida") and feature films ("Vulnerables") in Spain. 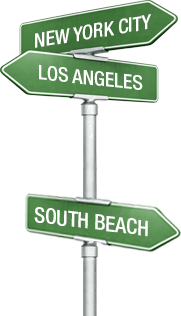 In addition to supervising the development of Fulbright students at the College, Professor Cruz serves as Chair of Diversity for the Fulbright Association of Los Angeles. NYFA is committed to maintaining an active relationship with the Fulbright community, from holding special screenings for the Fulbright Association to helping organize and produce the 2015 and 2017 TEDxFulbright events in Los Angeles and Washington, DC. 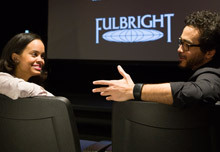 NYFA delivers many opportunities for Fulbright students to develop collaborative projects and connections with other grantees. As examples, NYFA Fulbrighters Ismelda Mojica (MFA Producing) and Oliver Olivo (MFA Filmmaking) partnered to produce thesis film “Impressions.” Ms. Mojijca co-produced fellow Fulbrighter and MFA candidate Ishani Jayamaha’s thesis “Kattuka,” filmed in Sri Lanka. The Fulbright Program is the flagship international educational exchange program sponsored by the U.S. government, designed to increase mutual understanding between the people of the U.S. and the people of other countries. The Fulbright Program is one of the most prestigious awards programs worldwide, operating in over 155 countries. Fifty-three Fulbright alumni have won Nobel Prizes; 78 have won Pulitzer Prizes. For further information visit the Fulbright webpage.